Sweet Spud creates eco-friendly children's apparel that's not just green, but helps spreads messages of love, peace and enlightenment. Made for babies and toddlers, the Sweet Spud line includes onesies, knot caps, yoga pants and tees featuring adorable pastel designs. 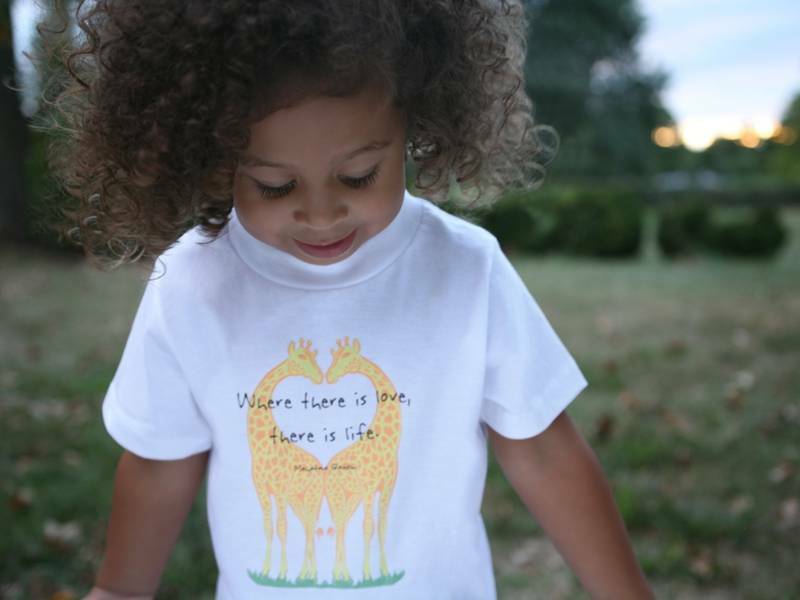 The tees and onesies include sweet, child-friendly quotes such as "Where there is love, there is life" (Gandhi) and "You already possess everything necessary to become great" (Native America). Soft and comfy, each piece of Sweet Spud clothing is tagless and shipped "gift ready" in cute, eco-friendly packaging, making these pieces perfect for a baby shower or birthday. The entire Sweet Spud collection is made with GOTS Certifed Organic Cotton. Designs are screen printed using only water-based, phthalate-free inks. The company uses fair labor practices. Packaging includes 100% recycled/recyclable boxed 100% recycled tissue paper. Green features of the Sweet Spud company and their clothing collection include: The entire Sweet Spud collection is made with GOTS Certifed Organic Cotton. Designs are screen printed using only water-based, phthalate-free inks. The company uses fair labor practices. Products feature recycled hangtags. Bodysuit snaps are nickel-free. Packaging includes 100% recycled/recyclable boxed 100% recycled tissue paper.